We have all the details for the underrated thriller The First Power coming to Blu-ray for the first time. 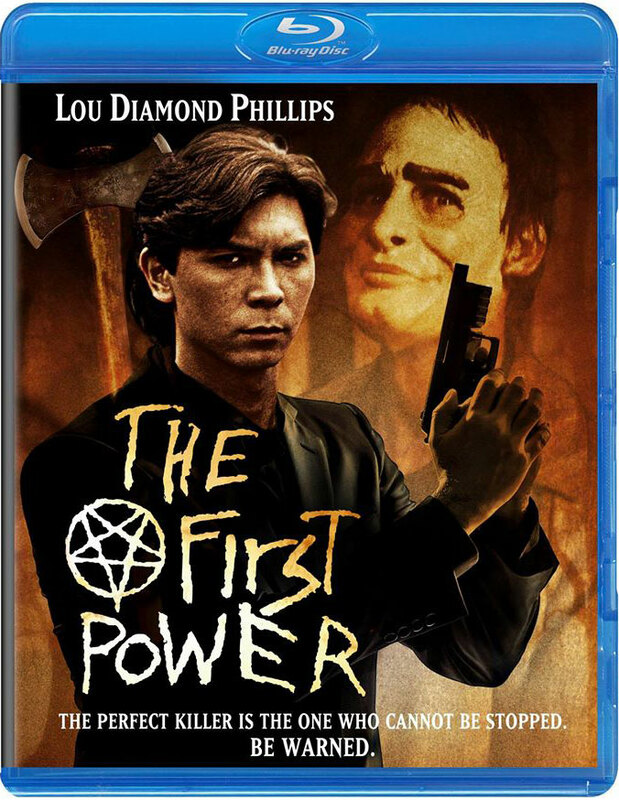 U.S. distributors Scorpion Releasing and Kino Lorber will release the 1990 horror thriller The First Power on DVD and Blu-ray, starring Lou Diamond Phillips, Tracy Griffith, Jeff Kober, and Mykelti Williamson, on October 7th. How do you stop a killer with immortal powers? Lou Diamond Phillips stars as a hotshot L.A. homicide detective caught in a harrowing game with a man who lives to kill – and cannot die – in this psychological thriller that transcends mortal terror. After a long, gruesome hunt. 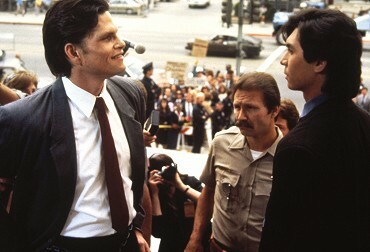 Detective Russell Logan (Phillips) finally captures the brutal Russell Logan (Phillips) finally captures the brutal Pentagram Killer (Jeff Kober), and watches as the murderer is executed at San Quentin. Finally, the terror is over… or is it? When the ritualistic killings begin again. Logan is haunted by violent visions of the executed man, and seeks the counsel of a beautiful psychic (Tracy Griffith). Together they discover that the Pentagram Killer, one of Satan’s disciples, possesses the First Power – the ability to inhabit the bodies of others at will! Now Logan has to catch the killer again, not knowing where – or in whom – he’ll show up next! Charged with bone-chilling suspense and otherworldly evil, The First Power will scare the devil out of you!